It will look like this: Fun Science – How many megabytes in the human body? I stumbled upon this from google and I must say I really appreciate your math work here, some very interesting numbers come out. Though to give you another layer of depth, (that you may or may not care about), the DNA is read from each side, not together, meaning that not only is the pairing important, but in which order the pair is in, simply, there are 4 different choices. Which means that the amount of information that the cell holds should double. Then there is also mitochondrial DNA if you just wanna find a big #, but whose counting. Hi, Stumbled upon your site looking for questions to set for my Biochem students. A nice bit of fun science speculation. 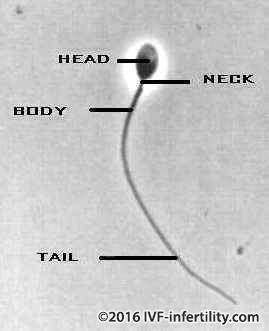 I would like to point out that while sperm contain a single X or Y chromosome, they also contain one copy of each of the other chromosomes as well, not so much a binary situation. Each sperm contain about 3 billion bases of genetic information.Additionally, while much of this information is redundant (the same from sperm to sperm) each copy ( all 180 million) of each chromosome is subtly different. Another smallish point; while the human genome is about 3 billion bases, most cells in our body (apart from things like sperm!) contain 2 different copies of the genome. Again, a lot of this information is redundant, but the difference is still there. So each cell actually contain 6 billion bases. Thanks Jason – again, it’s really cool to have some input from readers on my hypotheticals! Keep up the insightful comments folks, and if you’ve got anything else you’d like me to cover, let me know. Is AT different from TA, and GC different from CG? I don’t know, but if they’re different each base pair would need 2 bits. Also is there ever a G paired with anything other than C, or is it always G with C and T with A? Thanks. As has been mentioned, there are four options for each of the 3 billion base pairs – each therefore requiring two bits. This gives 6 billion bits which equals 715 megabytes – about a CD’s worth! how many RNA strands are there in the human body? What are some advantages and disadvantages to sexual reproduction? I don’t think the calculation on the brain storage is anywhere near correct. It seems very interesting that you come up with only 116gb of data. My laptop that I am typing on now has a hard drive that is 160gb, and I would like to assume that the human is much more advanced than a computer. I truly doubt that you can even begin to estimate the storage capacity of the brain because you would have to have a much better idea of how it stores information than is currently available. The brain does not ‘write’ information like a computer, it is organic and shouldn’t be compared to digital storage capacity. From a computer science point of view, it would be very wasteful to store the three billion bits that make up each cell 100,000,000,000,000 times! Considering that the DNA of each cell is the same (save for random mutation and telomerase unwinding based on the age of the cell), it would be much simpler to store the 0.35GiB once, and then use a pointer (let’s be generous and use a 32-bit number) to refer to the original copy instead. By doing so, you’ve reduced your original 34,179,687,500 tebibytes to 363 tebibytes ((100000000000000 cells * 32 bits) / 8 bits in a byte / 1024 bytes in a kibibyte / 1024 kibibytes in a mebibyte / 1024 mebibytes in a gibibyte + 0.35 gibibytes for the original data) / 1024 gibibytes in a tebibyte)! As far as transfer of data during human reproduction… I think you need to take in to account that almost all of the data are in “lost packets” These do not count int the transfer or exchange. Thank you, Matt, just loved your comment. Interesting thought. i think that yeah that’s what i thing!!! this stuff is hard to belive, but stranger things have happened. I was amazed that the human body is this complicated and also fun to read about. Anyways thanks for the article and just so you know my family likes this artice too. does this information differ with some cancers or the size or the age of the person? Your discussion of the information density in DNA ignores the information in the machinery. Without the necessary biological environment for producing proteins from DNA, the DNA is functionally meaningless as information. All the data on your computer hard drive is useless without the proper software & operating system to read it and interpret it. my God!, i thought. and this only after searching out the answer to a question my 12 year old son and i came up with. here’s an interesting tangent. think of the how and to what extent the range of information and processing capacity a divine creator would need to implement a human being and its supportive existance, i.e. universe? hmmm. Great article. You should take into account our flora.